Ástríkur is back for a third show and this time he’s fruitier than ever. 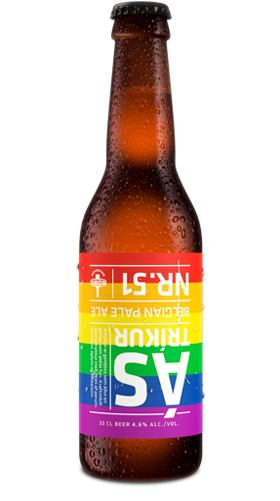 From this delicious mix of rich Belgian yeast and sweet American hops emerges a thirst-quenching Pale Ale that displays a confetti of colorful fruits – peaches, apricots, passionfruit, mango and grapefruit. Be sure to invite Ástríkur, he’s the life of the party. Proud sponsor of Reykjavík Pride.